The building of a shopping centre requires sophisticated levels of planning a design; they are not like normal buildings, because every aspect of the make-up must be conducive to visitors spending money. The buildings must be designed for ease of access and convenience, but must also feature a certain glamour that will encourage shoppers. Often reaching the balance between functionality and appeal is a challenge. 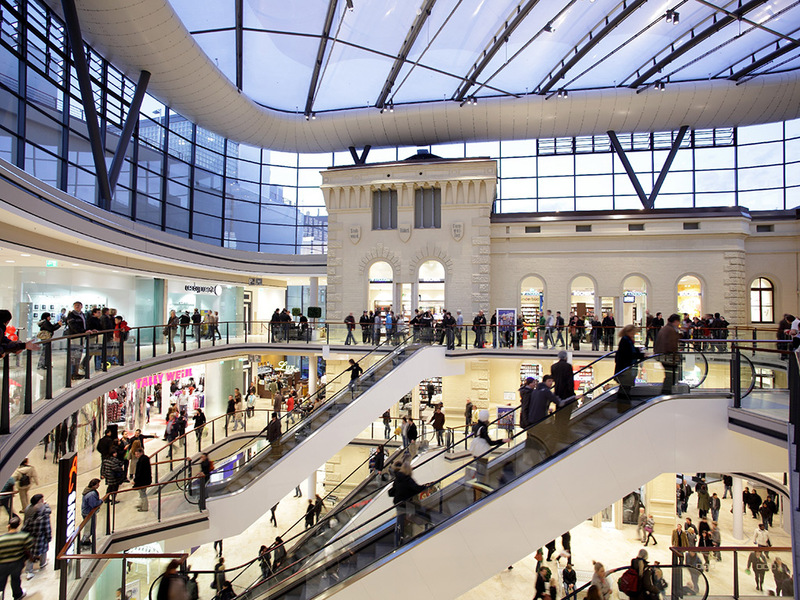 ECE Projektmanagement is the European market leader in inner city shopping centre development, and as such the company has developed the knowledge and expertise required to achieve the highest levels of sophistication and practicality that profitable centres require. Founded in Germany in 1965, ECE specialises in shopping centres, but has also developed expertise in building transport complexes, logistics centres, company headquarters, hotels, industrial buildings and other special purpose properties. The company pools together all services required for developing a special purpose property under one roof, in order to meet all of the clients’ demands and needs in-house. It is a cost-effective and efficient way of developing complex projects. However, the market for shopping centres is rapidly changing as people turn to online retailers for better deals. It is becoming crucial to invest in shopping centres that not only serve their purpose, but also appeal to customers. Online purchases will never quite match up to the real life experience of going out and buying directly from a shopping centre, and the buildings are an integral part of that experience. As the industry continues to face challenges ECE has invested in branching out into other fields in order to capitalise on its gains and ensure growth for the future. The company has led the way as an investor, drawing up tailored financing concepts to facilitate shopping centre and other specialist building developments. The company has successfully cultivated a long-term portfolio, which is unique among commercial property developers, but certainly works to ECE’s advantage. By investing in their development projects ECE can guarantee the success of the building. It has also reinforced the company’s centre management operations; unlike most of its competitors, ECE regularly takes on management responsibilities for its developments. The company is extremely committed to its sustainability goals. ECE has transformed its management business to incorporate environmentally friendly practices like installing green electricity in shopping centres. For the company, sustainability represents an important factor in the long-term operation of their buildings. Considering that ECE has 187 shopping centres under management and a further 14 in the pipeline, its scope for promoting sustainable practices is enormous. Alexander Otto, CEO of ECE, spoke exclusively to European CEO about his company’s evolution, and the upcoming challenges it faces in the future. Shopping centres are highly coveted among investors. Will we now experience the next development boom? No, the market is largely saturated in many European countries, and in others market participants are currently acting very carefully due to the eurozone crisis. But there are still vacant niches that we can find. And there are markets such as Turkey, in which we indeed experience a certain boom. However, the past teaches us that it is recommended particularly in those markets to always act with sound judgment. When the new developments are becoming less, what consequences does this have for your company? For quite some time now we have been focusing increasingly on asset management. With 187 shopping centres in 15 countries, we can generate considerable synergy effects for our rental partners and investors and, at the same time, ensure a very high quality. Thereby, we attach growing importance to the revitalisation of shopping centres. Due to the competition with other shopping centres, and of course the internet, shopping centres today are only successful in the long term if they constantly adjust to current trends and market developments. Many investors wonder whether shopping centres will endure given the popularity of online shopping. Do you already feel the internet’s pressure? Our footfall is very stable, turnover is growing – hence I could answer your question with no. But, of course, we clearly notice the consequences of e-commerce in some branches – and we know that the future belongs to those who are best in adjusting to the new competition. This is why we interviewed, together with Roland Berger, 42,000 of our visitors on their shopping behaviour, had them complete shopping diaries and analysed very thoroughly what our visitors really want. Some results were really surprising for me. Even many of our young visitors like shopping in brick-and-mortar shops because they can experience something together with their friends. And for customers in offline retail, much more important than the price is to test products and to take it home immediately. Also the share of spontaneous buys is a lot larger offline than online. Brick-and-mortar retail, thus, has great chances – they only need to be seized. We therefore installed in two of our shopping centres Future Labs and test the innovative offerings that are to intensify the interaction between visitor and centre. Those innovations that are well received by the customers will be introduced to our other centres. And what doesn’t work well will be replaced by new ideas that are currently developed by our innovation team or that we detected during our global market investigation. Unlike most of your competitors you are not listed. Do you plan to change this? No. Up to now we have been very successful as a family company since we are long-term oriented and can take fast decisions at the same time. Furthermore, our financial background allows us to act anti-cyclically during times of crisis as in 2009. But our most important advantage is that we work for different investors – from the private investor, funds and listed joint-stock companies up to insurance companies and sovereign wealth funds. An important step was our first ECE fund with an equity volume of €775m, which enabled institutional investors from all over the world to build up together with us a European shopping centre portfolio. Three quarters of the fund’s volume have already been invested; the last acquisition was the Rosengårdcentret in Odense, the second-largest shopping centre in Denmark. Thus, we were able to meet the targets of many investors who increasingly wanted to become active in Scandinavia. You have been recognised by a variety of awards. Why are you more successful than your competitors? We are very happy that Marmara Park in Istanbul and Milaneo in Stuttgart prevailed in the global competition – this was a very special evening for me too. The basis of our success is surely the excellent and very innovative architecture of our team of architects, but especially with regard to Milaneo the combination of shopping, living, working, and a hotel right in the city centre. In addition, we are thinking long-term: we are financially involved in both projects and also responsible for the centre management. In this case you plan and construct differently than for a pure developer who plans to sell right after the opening.